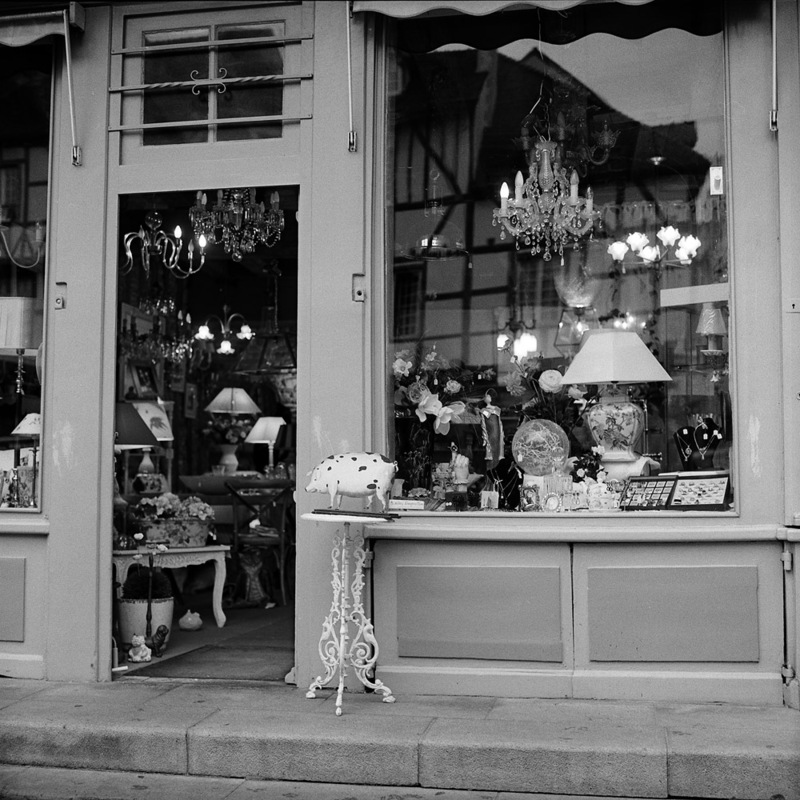 Here are businesses and storefronts in Chalon-sur-Saone. The old advertisement still visible on the wall of the building is on a street leading away from the old (2nd-16th Century) core of the town. Just around the corner is a McDonalds, with view camera designs etched in the windows. 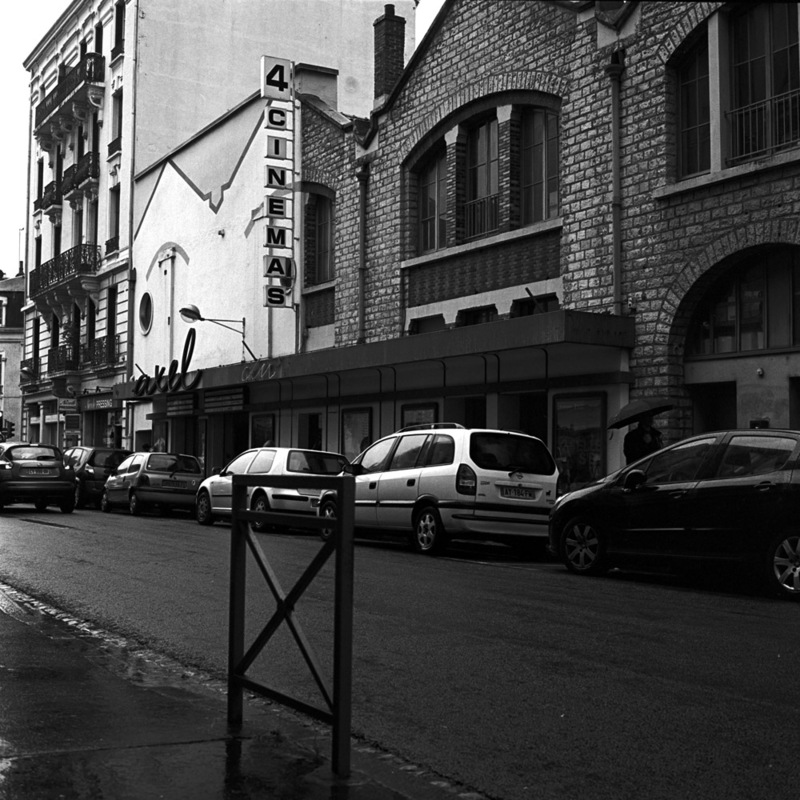 Even if the rest of the world doesn’t know it, the Chalonnais certainly remember what portion of their heritage is related to photography. After spending ten days in Barcelona a few years ago, I became highly attuned to Art Nouveau architecture. 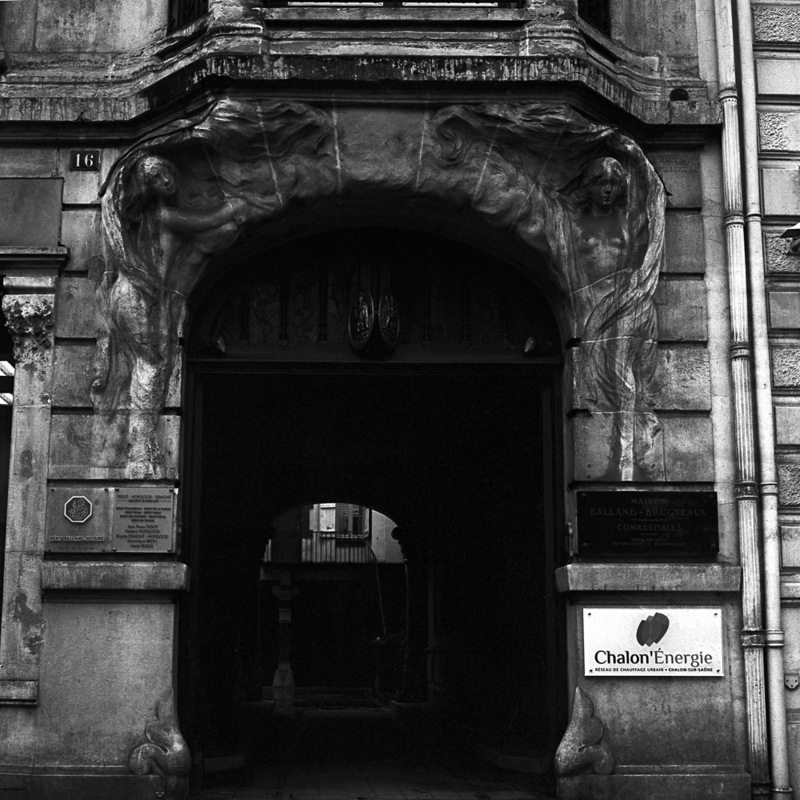 Although Chalon is not particularly close to Barcelona (or Paris or any other major center for European architecture in the 19th century) the facade of this building is a particularly striking example of Noucentisme. 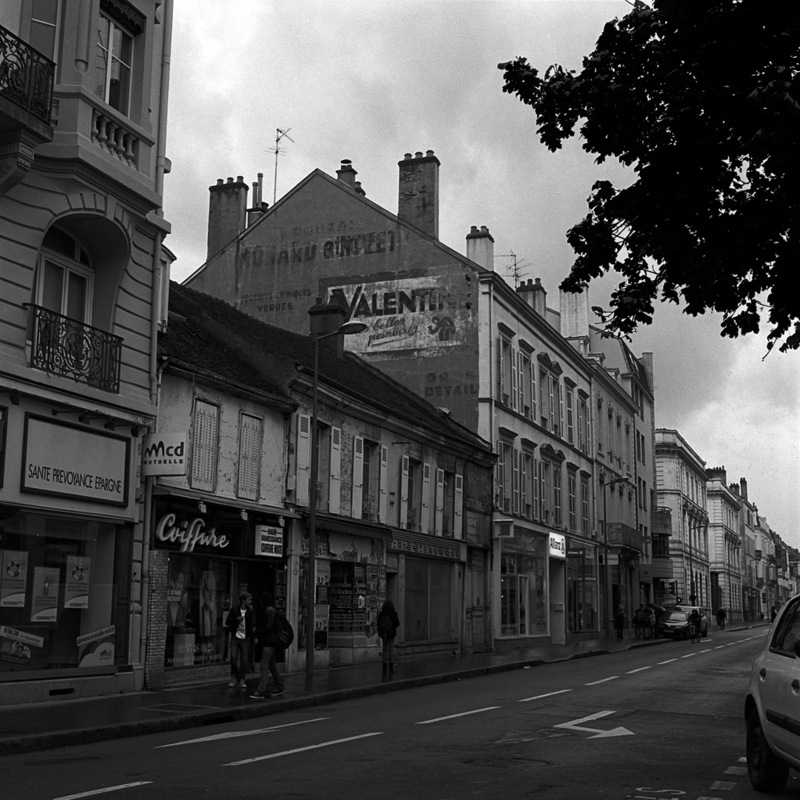 Walking the streets of Chalon, you can tell that the town has had better days, but it is by no means a dying town, as can be seen from the businesses on the streets of the city center. 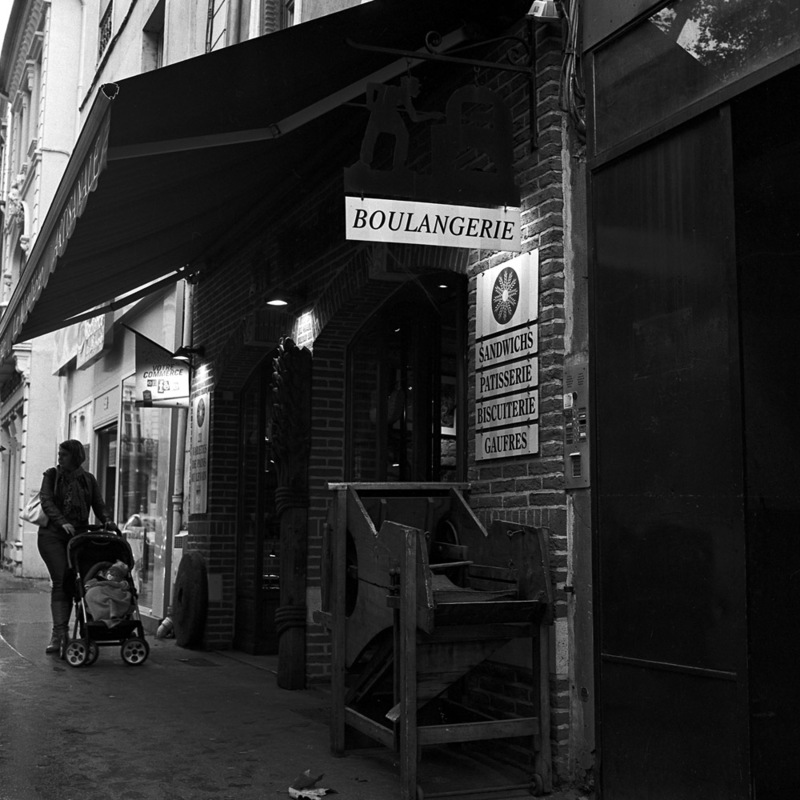 This boulangerie (bakery) was always busy whenever I walked past. 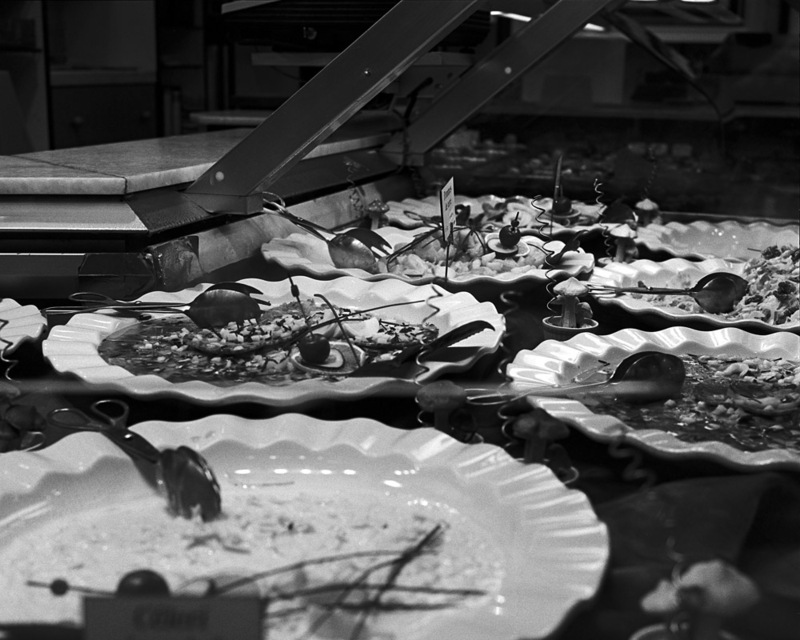 This fishmongers’ had particularly appealing plates of fresh seafood in their display cases. 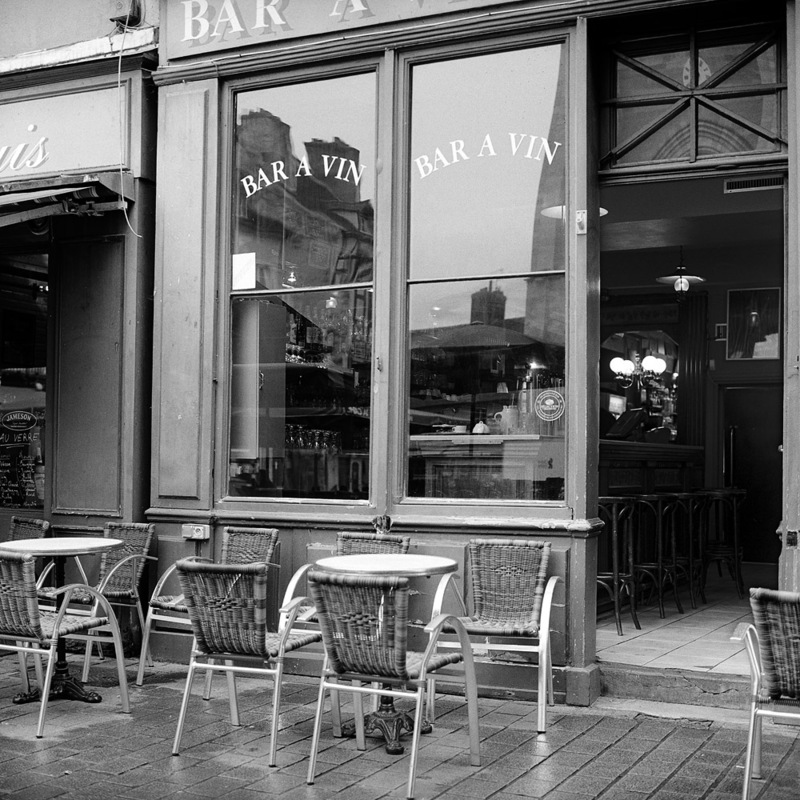 The Bar A Vin is located on the main square across from the cathedral. If things look particularly quiet, bear in mind I was there on a weekday, in the middle of the afternoon between lunch and dinner, and it was raining. The lamp store was on another corner of the square and had the cutest little pig sign out front. The glow from all the lamps inside was enough to make it easy to balance the exposure between inside and outside. What photo essay about Chalon-sur-Saone could be complete without photos of things related to photography? 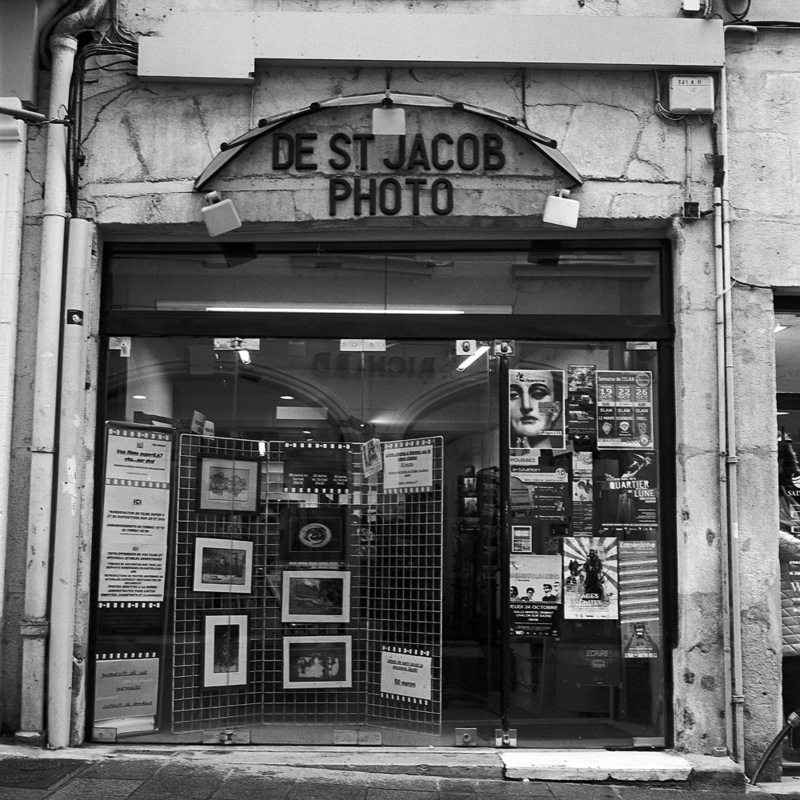 Here is a photo studio in the center of the medieval district, and the 4-screen movie theater.